Stunningly beautiful and original, designed with the highest quality in mind. 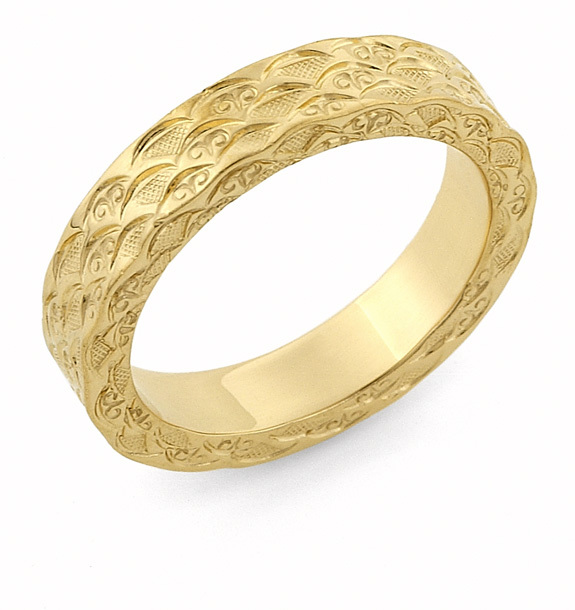 Our 14k yellow gold hand carved design wedding band ring is truly one of a kind. Wider widths will add additional rows of the design to the ring in order to make the ring wider. Also available in white gold, 18k gold, or platinum by request. We guarantee our Hand Carved Designer Wedding Band, 14K Gold to be high quality, authentic jewelry, as described above.